1. Phalaenopsis equestris (NT$7): This species is parasitic. Its pale purple flowers are 3 cm across. The sepal is oval, the petals rhomboid. 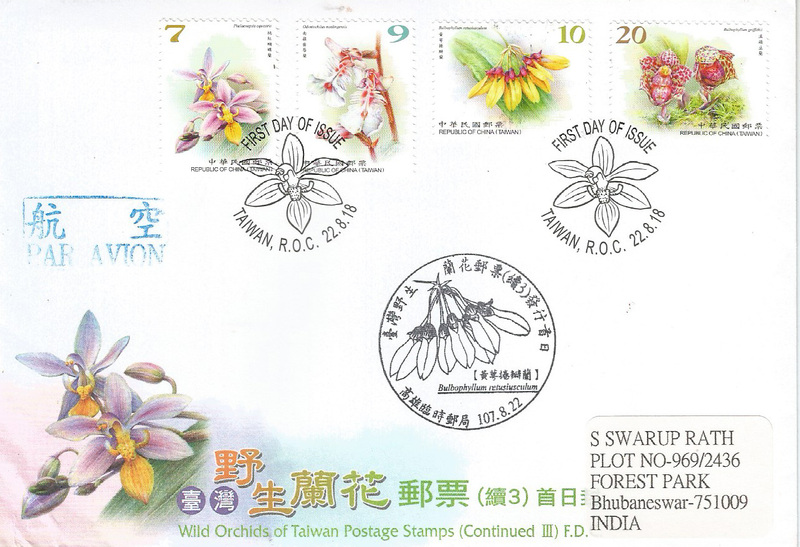 It flowers in summer and is only found in Taiwan in small patches on the forested craggy slopes of Little Orchid Island. 2. Odontochilus nanlingensis (NT$9): This orchid grows on the ground, generally with 2 or 3 flowers. The white petals have a reddish hue with reddish-brown stripes and marks. It flowers in spring and is found at heights of 500 to 1,000 meters in damp broadleaved forest from Wulai to Nanao. 3. Bulbophyllum retusiusculum (NT$10): A miniature parasitic orchid with colorful petals. Its upper lip is dark red, while the sides are yellow and 1.5 cm long. The flowers are generally arranged in a fan-shape, like a small circular comb, so it is also called Yellow Comb Orchid. It flowers in autumn and winter and is common in cool damp evergreen broadleaved forest in the mid to low altitude mountains of Taiwan. 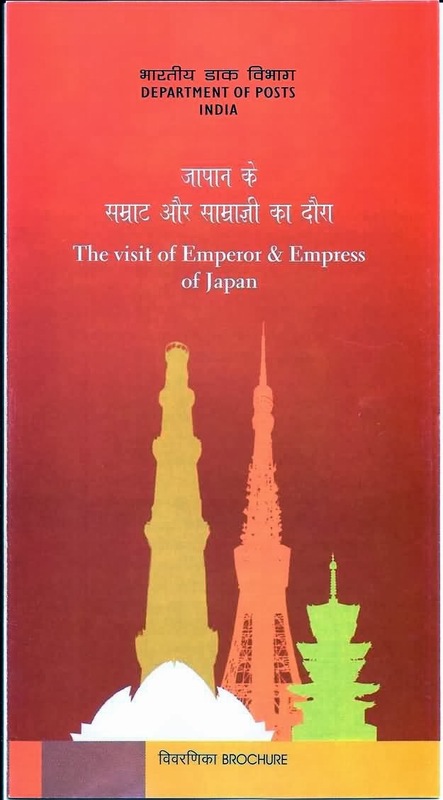 Stamp Printer- Central Engraving and Printing Plant. Remark: Beautiful two Types of post mark,posted on the issue date to me.Thanks Chen for such a lovely real posted FDC. 1. Taichung Park (NT$8): An important landmark in Taichung City. The Park is verdant and full of trees with historic buildings such as the antique Heart of the Lake and Gazing at the Moon Pavilions. There is also an open-air stage and children’s play area, making the Park a hotspot for family walks, rest and leisure. 2. National Taichung Theater (NT$9): The Theater lies in the Xitun District of Taichung City. It was designed by the Japanese architect, Toyo Ito, to be a womb for beautiful music. The building has 3D-curved surfaces with air holes and is of a tubular design; no pillars are used in any part of it. Seen face on, it curves round like a flagon of wine: truly something wholly new. 3. Wuling Farm (NT$12): The Farm lies on the banks of the Qijiawan River in the upper reaches of the Da-Jia River. It was established in 1963. 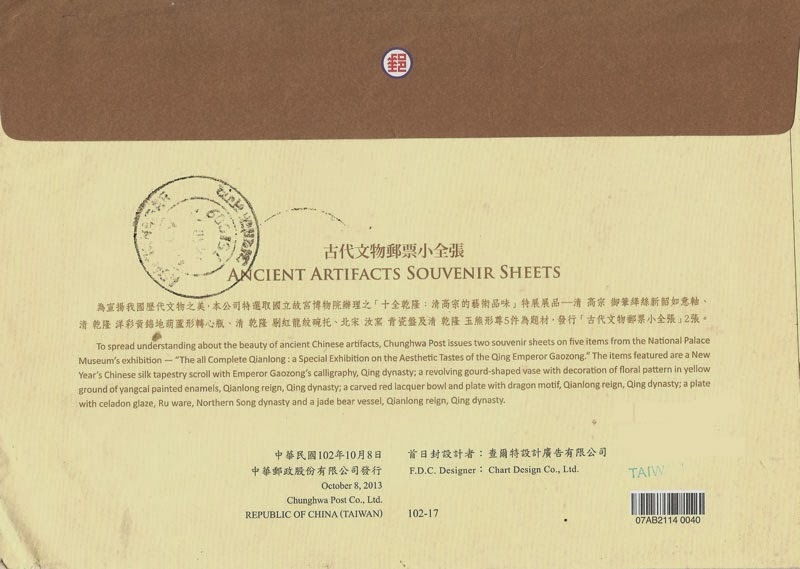 It hosts abundant plant and animal life, cultural relics and the Neolithic Qijiawan site. In spring it is famed for its flowers, in summer for fruit, in autumn for red maple leaves and in winter for snow. 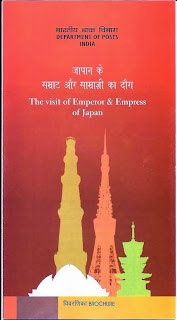 It is a well-known tourist spot. 4. Gaomei Wetlands (NT$15): The Wetlands lie in Qingshui, at the south side to the mouth of the Da-Jia River. They are rich in natural resources thanks to a combination of fertile mud and sandy beaches. The marshy land at the estuary supports a rich and complex wetland ecology and is famous for bird watching. In recent years the Wetlands have become an internationally famous tourist attraction. 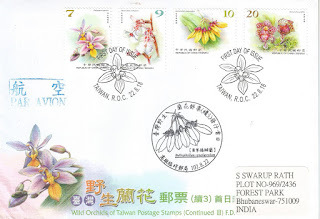 Remark:Nice real posted FDC from Taiwan.thanks Chen.Excellent two type of cancellation. 1. Ocean Fireworks Festival (NT$6): In recent years the fireworks festival has become a standard feature of Penghu’s tourist calendar. The main arena is outside the Guanyin Pavilion in Magong City. 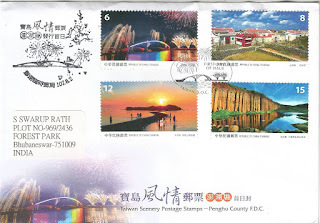 The play of light from the fireworks, the romantic bay and the Xiying Rainbow Bridge are woven together in the night sky over Penghu. 2. Erkan Village (NT$8): Erkan Village on Xiyu island is a single-surname community of the Chen family. The houses are in the old style and retain the traditional format of a village. There are many small exhibitions held here: one house displays ordinary life, another life on the shoreline, another is for singing… The village is the best preserved in Penghu and provides a taste of yore and the beauty of the builder’s craft. 3. Kueibishan (NT$12): When the tide recedes at Kueibishan in Huxi Township on the main island a winding path across the water to Chihyu islet is revealed. It draws many tourists to this northeast part of the Penghu archipelago. 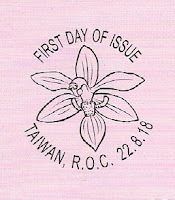 Remark:Nice First day cancellation(Two types) by my friend Chen from Taiwan and posted on the issue date. Alexey Arkhipovich Leonov born 30 May 1934 in Listvyanka, West Siberian Krai, Soviet Union) is a retired Russian cosmonaut and Air Force Major General. On 18 March 1965, he became the first human to conduct extra-vehicular activity (EVA), exiting the capsule during the Voskhod 2 mission for a 12-minute spacewalk. Leonov was one of the 20 Soviet Air Force pilots selected to be part of the first cosmonaut group in 1960. Like all the Soviet cosmonauts, Leonov was a member of the Communist Party of the Soviet Union. His walk in space was originally to have taken place on the Vostok 11 mission, but this was cancelled, and the historic event happened on the Voskhod 2flight instead. He was outside the spacecraft for 12 minutes and nine seconds on 18 March 1965, connected to the craft by a 5.35-meter tether. At the end of the spacewalk, Leonov's spacesuit had inflated in the vacuum of space to the point where he could not re-enter the airlock. He opened a valve to allow some of the suit's pressure to bleed off and was barely able to get back inside the capsule. Leonov had spent eighteen months undergoing intensive weightlessness training for the mission. Remark:Excellent FDC with nice cancellation.Thanks Limanskii E.N for such beautiful FDC after long time. Teresa Teng was an influential Taiwanese singer famous throughout Asia and in Chinese communities around the world. 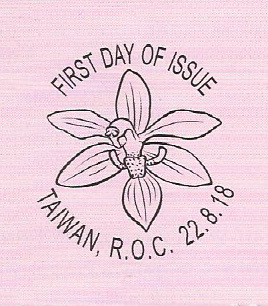 She enthusiastically participated in concerts for ROC troops and for overseas Chinese communities, giving performances in Taiwan, Hong Kong, Japan, the United States, and Southeast Asian nations, among other places. She was known as a “patriot performing artist,” “the military's sweetheart,” and “the queen of her generation's singers.” A powerful demonstration of musical artistry that resonated with audiences everywhere, her voice comforted countless souls. One of the true superstars of the Asian singing world in the last half of the 20th century, she helped to advance Chinese pop. On both sides of the Taiwan Strait—and in fact anywhere there are ethnic Chinese—her songs are still popular even today, nearly 20 years after her death. 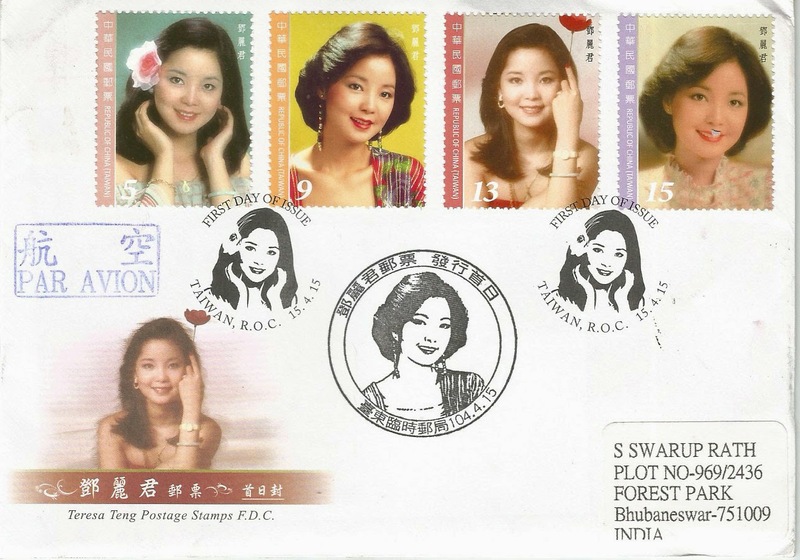 In commemoration of Teresa Teng, Chunghwa Post is issuing a set of four stamps with denominations of NT$5, NT$9, NT$13, and NT$15. 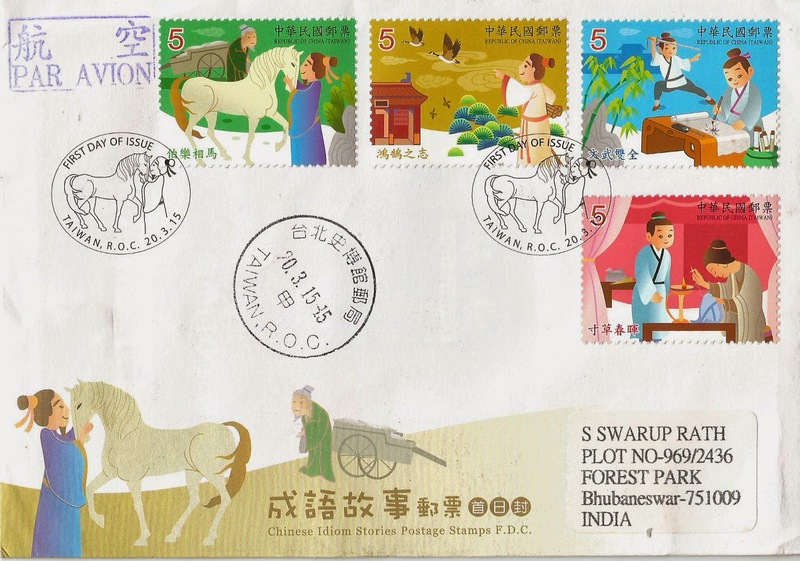 This set of stamps is designed by Janny Pai and printed by Cardon Enterprise Co., Ltd. in color offset. Remark:Beautiful FDC with set of 4stamps.Both type of the cancellation are very clear.Thanks Chen. Daiyu Burying the Flowers (NT$5): Baoyu’s maid Qingwen refuses to open the door for Daiyu when she comes visit. Daiyu weeps in silence as she mistakenly interprets this as Baoyu’s doing. The next day, when she sees the ground carpeted with fallen petals, she is overcome with sadness again. As she gathers the fallen blossoms to be buried, she compares herself to the fallen petals and laments at her despondency and loneliness. She tearfully mourns the flowers: “The falling twirling petals fill the air, wasting away while no one cares.….” As he listens, Baoyu becomes transfixed and spellbound. Tanchun Starting a Poetry Club (NT$5): Tanchun proposes to establish a poetry club. The first business of the club is for everyone to pick an alias for themselves and to draw up the rules and penalties. Then the topics and rhyme entries are chosen before the members start to write and critique each other’s work. Parties held by the club become a fad in Daguanyuan for a while. The scenes where the girls write and chat and Baoyu jokes around highlight the Jia household’s heyday and add vitality and interest to the book. Granny Liu Touring Daguanyuan (NT$10): Granny Liu follows Grandmother Jia to Daguanyuan, where they party, row boats, and drink tea. To amuse Grandmother Jia, Sister Feng covers Granny Liu’s hair with chrysanthemums. Granny Liu goes along with her jest and plays the fool to make everyone laugh. Through Granny Liu’s touring, the author further describes the extravagant lifestyle of the Jia household, the sumptuous decor of Daguanyuan, and highlights the vivid contrast between Grandmother Jia and Granny Liu’s economic situations. Miaoyu Tasting Tea (NT$25): Miaoyu comes from the gentry class. She is both fastidious and haughty. When it comes to tea, the water she uses is snow water that was collected off of plum blossoms and then buried in the ground in a pot for five years. The tea cups she uses are all valuable antiques. She hands Baochai one with the name “Calabash Cup”, Daiyu “Rhinoceros Cup”, and Baoyu her personal green jade cup. Later she swaps it with a huge goblet decorated with coiled dragon with nine curves, ten rings and 120 knots carved from a whole bamboo root. 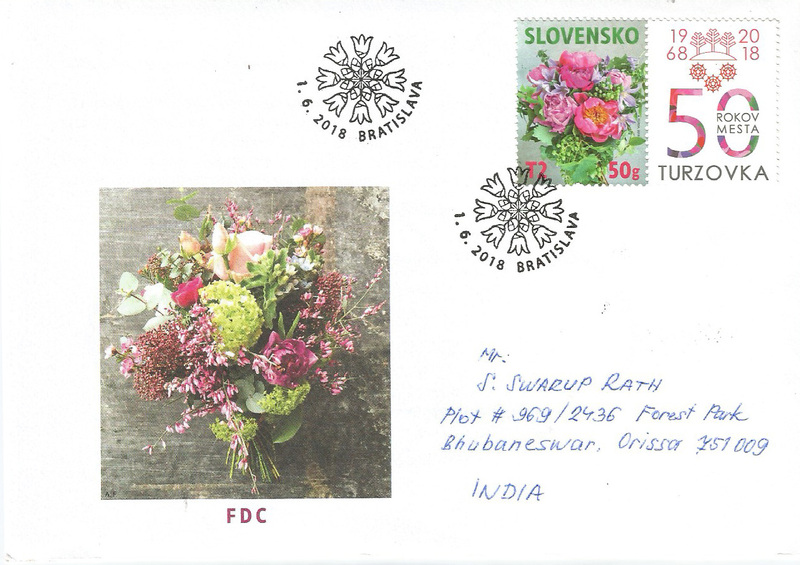 Remark:Nice FDC with Fan cancellation. Bo Le Appraises the Horse (NT$5): Bo Le is the name of a constellation in charge of the heavenly stable. During the Spring and Autumn Period (770 - 476 BC), there was a man named Sun Yang that many called Bo Le because he was expert in the ways of horses. There is a legend about his search for a good horse. One day, he saw a horse struggling to pull a salt cart up a steep slope. When he approached, the horse suddenly neighed loudly. From the horse’s cry, Bo Le knew that this was the horse he was looking for, so he purchased it. After being properly cared for, the horse did indeed become a great war horse. Later, people began to call anyone who was good at scouting talent Bo Le. 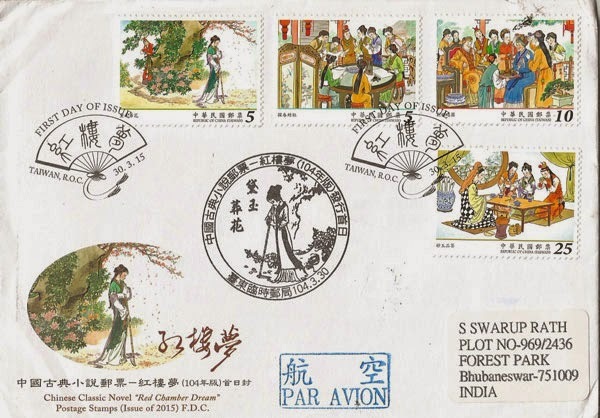 The Ambition of a Swan (NT$5): The Records of the Grand Historian devoted a chapter to a man named Chen She. Chen was poor when he was young and once worked as a farmhand. One day, he woefully said to his coworkers: “Let’s not forget about each other when one of us strikes it rich one day.” The others laughed and said, “You are just a hired farmhand, you will never strike it rich.” Sighing, Chen said “How can a sparrow know the ambition of a swan?” The idiom compares ordinary people to sparrows, who are incapable of understanding the aspirations of a hero. Later, the idiom came to be used to describe great ambition. Adept with Both the Pen and the Sword (NT$5): In Chapter 93 of The Romance of the Three Kingdoms, a man beats Kong Ming at his own game. Surprised, Kong Ming inquires about him: “Who is that? How did he see through my trick?” He then was told: “His name is Jiang Wei who is very devoted to his mother. He is adept with both the pen and the sword. What’s more, he is intelligent and brave. He is a truly outstanding fellow.” The idiom “adept with both the pen and the sword” is now used to encourage people to pay attention to their work and their extracurricular skills. Tiny Blade of Grass and Spring Sun (NT$5): “The Song of the Wandering Son,” a poem by Tang dynasty poet Meng Jiao, reads as follows: “The thread in the hand of a loving mother goes into the clothes for her wandering son. She makes the stitches tight before he leaves, worrying it might be a while before he returns. How can tiny blades of grass repay the sun, however much they appreciate its warmth?” The idiom describes how children receive so much from their parents that it is hard to expect them to repay it in kind. Remark:I am writing this blog after long gap due.In meantime I have lost contacts with many good friends who used to send me very good FDC. 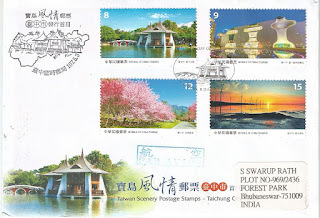 Only.Only one is continuing-He is one of my best philatelic friend Shi--Ching Chen from Taiwan.Many many thanks to him & looking forward for good exchange. 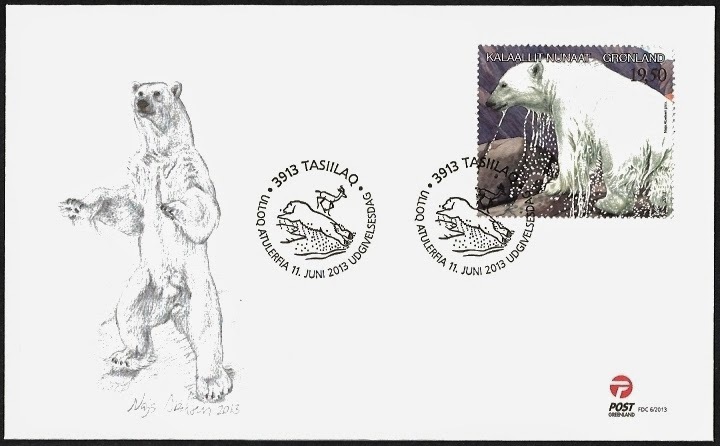 The 2013 Greenlandic stamp of the year was the stamp with the attractive polar bear with the title “Vulnerable Animals”. 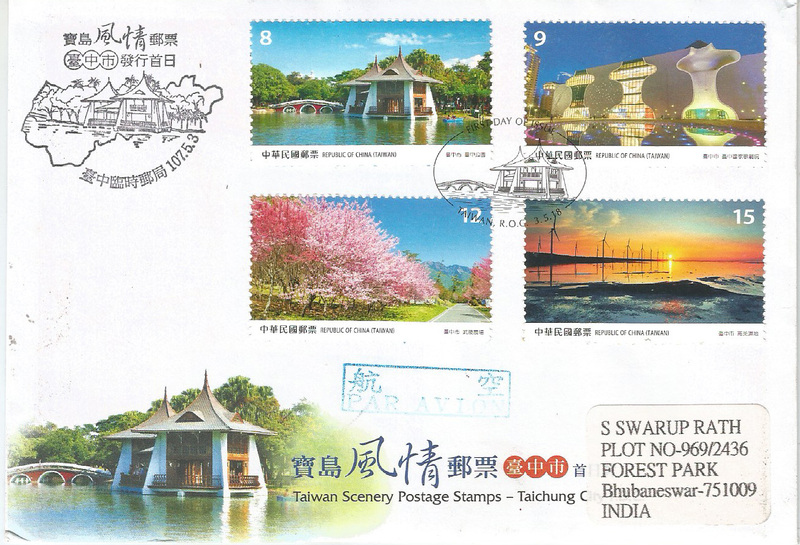 Stamp collectors from all over the world voted for their favorite among the 24 stamps issued by TELE-POST in 2013. 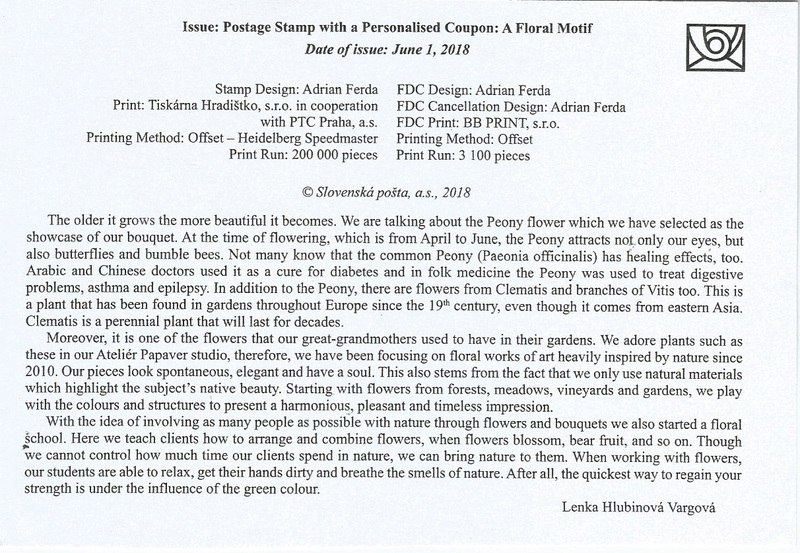 It is the artist Naja Abelsen, who has created the beautiful stamp. 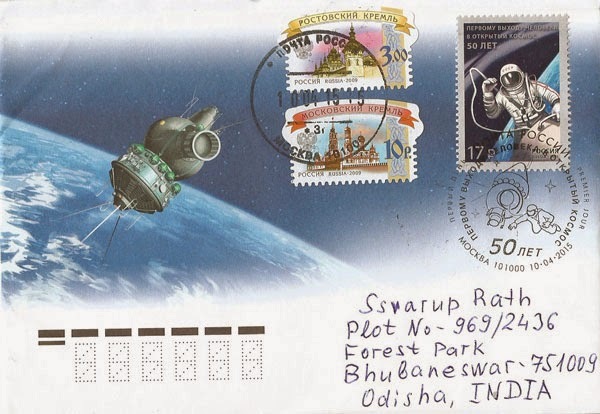 Naja has earlier been behind no less than 16 stamps issued by TELE-POST. 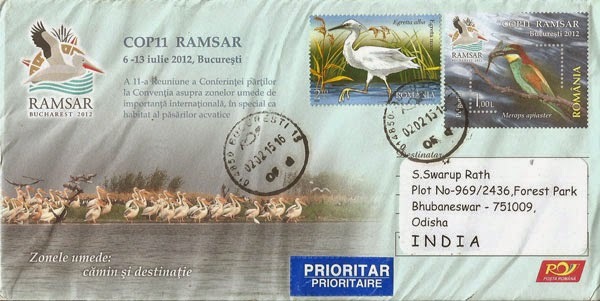 The stamp “Vulnerable Animals” was issued 11th June 2013. It was a joint issue with the Israeli Post and the point of the issue was to create awareness about vulnerable animals. 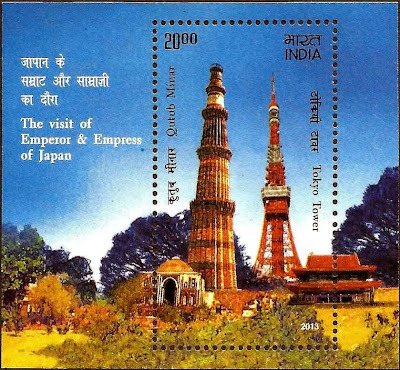 The stamp is enhanced with the Augmented Reality technology. This means that you can see a short video of a live polar bear, if you download the “Sepac App” and install it on your tablet or smartphone and scan the stamp. The winner of this monetary prize of DKK 10,000 chosen in the draw was Philippe Kocielkowski from Saint-George-sur-Meuse in Belgium. TELE-POST congratulates the winner. The ten lucky winners of the extra prices of a year pack from 2013 are Esa Kallio in Sweden, Gert Kragh Andreasen, Camilla Nissen Toftdal, Jørgen Rasmussen and Jørgen Vesth-Hansen in Denmark, Bezazel Ferhat in Algeria, Pastorimi Massimo and Francesco Magnani in Italy, Tor Nygaard in Norway and finally Uda Yanuhardi in Indonesia. 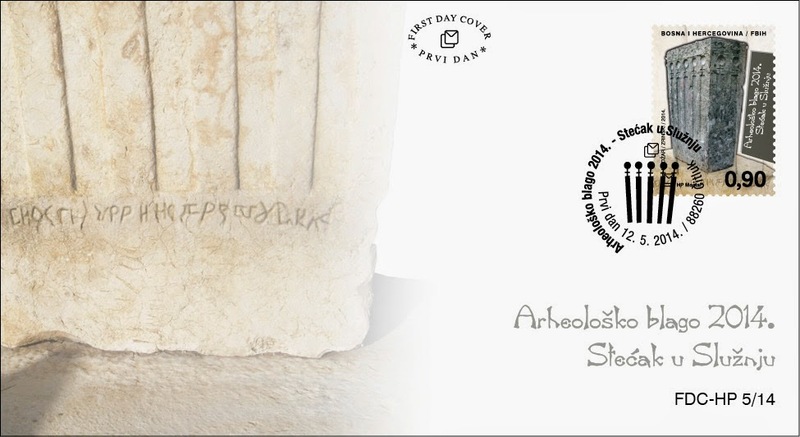 The competition for the “2013 Greenlandic stamp of the yea” ran in the period from 1st December 2013 to the 1st March 2014. In the village Služanj near Čitluk, from previous times, numerous medieval tombstones (“bilig”) are located in today’s local Catholic cemetery and nearby it. Inside the cemetery there laid a chest, which had deeply sunked into the ground, because it was obvious that it fell from its base. With somewhat effort the “bilig” in 2013 was erected and set up on its baseboard. The erected “bilig”, in the form of a tall chest with angled ends towards the baseboard, has truly impressive dimensions: height of 209 cm, width of 149 cm and depth of 69 cm. On all sides it is decorated with embossed moulding, which consists of lines in a form of rope and spiral wreaths of vines with the Croatian “trolist”. 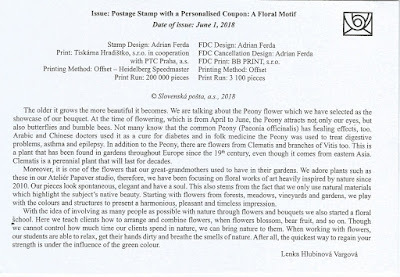 The Croatian Post Ltd. Mostar has issued a regular postal stamp in a sheet of 20 stamps, postmark and First Day Cover (FDC). The post of the Republic of Belarus issued 3 nos of stamps and a souvenir sheet from the series “Medal winners of the XXII Olympic Winter Games in Sochi”. The XXII Olympic Winter Games were held in Sochi (Russian Federation) from 7 to 23 February 2014.2800 athletes from 88 countries attended the event. Belarus was represented by 26 athletes (15 men and 11 women) in 5 sports disciplines. The Belarus team took part in Winter Olympics for the sixth time. Belarus is ranking the 8th in the medal table. Belarusian athletes have won six medals (5 gold and 1 bronze). The medal winners are: Darya Domracheva (three-time Olympic champion in biathlon), Alla Tsuper (Olympic champion in freestyle), Anton Kushnir (Olympic champion in freestyle) and Nadezhda Skardino (bronze medal in biathlon). The three-time Olympic champion Darya Domracheva has been awarded the title “Hero of Belarus”. The stamps depict Nadezhda Skardino, Alla Tsuper, Anton Kushnir, the souvenir sheet features Darya Domracheva. # Special Cover will be release on Birds of Mangalajodi Its vast wetlands attract thousands of migratory birds journey from as far different places of the world. Its wetland now host more than 1.5 lakhs of birds in the peak season. November to March is a good time to visit for enjoying an amazing experience. Its importance as a significant global wetland habitat and declared as an International Bird Conservation Area. 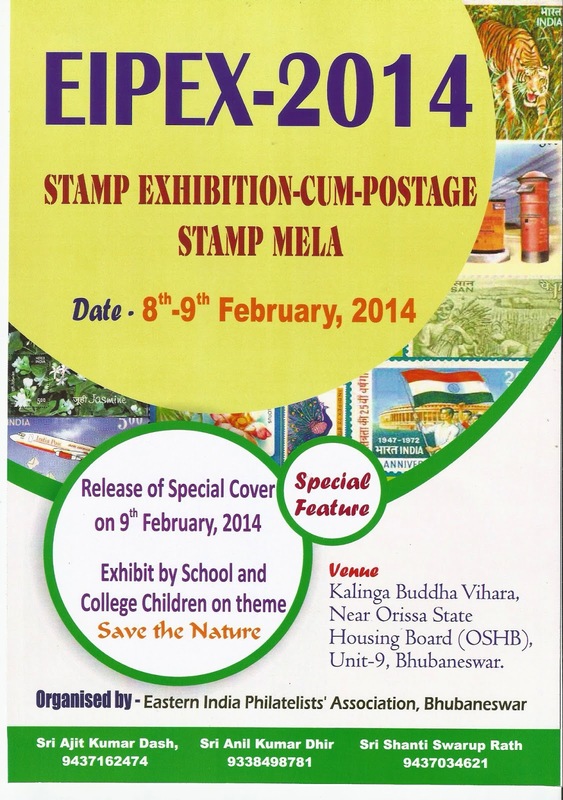 # 8 numbers of Picture Post cards will also released on 9th FEB'2014 at Mangalajodi,Odisha. New Year’s Chinese silk tapestry scroll with Emperor Gaozong’s calligraphy, Qing dynasty (NT$25): Based on a new year’s painting by Emperor Qianlong of the Qing dynasty, the sheet features a Chinese silk tapestry scroll. The tapestry depicts a pine branch, some camellia flowers and plum blossoms in a vase. In front of the vase are a persimmon, two lily bulbs, as well as some reishi mushrooms placed in an incense burner. It symbolizes good fortune and longevity. 3. Plate with celadon glaze, Ru ware, Northern Song dynasty (NT$10): This plate is round with a slightly arched wall and flat well. Its foot rim curls slightly outwards with brass studs on the edge. There is a pinkish sheen where the glaze is thin. There are crackles where the glaze pooled at the edge of the well. 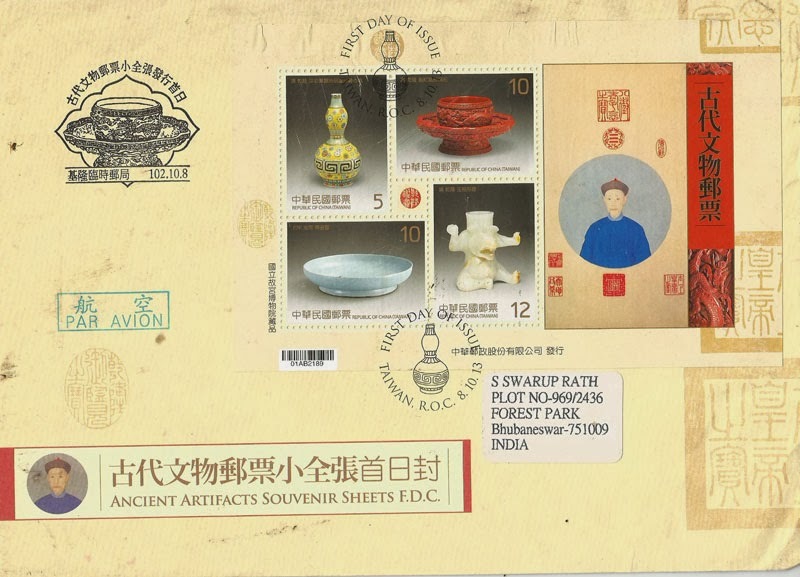 The plate has a poem by Emperor Qianlong inscribed on the base. 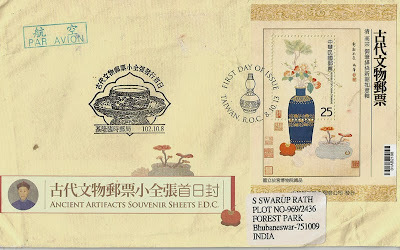 Remark:Thanks Chen for sending these two FDC on the issue date,The local First day cancellation is good.I hope you will also send the miniature sheets to me later.The size of the two FDC are different for the big & small size miniature sheet.Well planned,now India Post is also doing the same for last few issues this year.